These Guidelines have been developed, to inform the provision of quality physical education across the full age range from early years through secondary education. Technology and the Internet have dramatically changed education in the United States. Distance education, virtual high schools, E-learning, interactive video, and online courses are prominent features of the educational landscape. As a result, states, districts, and individual schools are examining the opportunities and challenges of online education for each subject matter area to include physical education. PE Central: A Health and Physical Education website for teachers. PE Central is a web site that provides information about developmentally appropriate physical education practices and programs. Need to educate school administration about what is essential in physical education? Physical Education teacher talks about the requirements needed to do her job. How much schooling have you had on the biomechanics and kinesiology of throwing a ball? Did you take pre-med classes in college? Do you know what it means to be proficient in a skill? How would you determine that? Can you keep the attention of 5-year-olds? Can you calm and improve the self-esteem of a fifth-grade girl who feels like her world is falling down around her? Can you challenge the athletes in the class while giving individualized attention to the ones who don’t know how? Can you clean up a bloody nose and a peeing accident while your boss looks over your shoulder? I can. National Association of Sport and Physical Education's position on dodgeball. Job interview questions when hiring a physical education teacher. Tool to use in evaluating Physical Education Teachers. It’s Time for your School’s Physical Education Checkup: How’s Your School Doing? Find even more guidance on using the new National Standards in National Standards & Grade-Level Outcomes for K-12 Physical Education (SHAPE America, 2014). Designed as a tool for physical educators at all levels, this book offers guidance on planning curricula, designing units and lessons, tracking student progress across grades and more. Purchase your copy at www.humankinetics.com/shapeamerica-online-store. 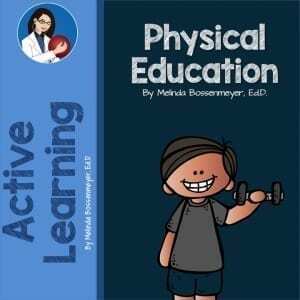 A parent’s guide to physical education by SHAPE America. Checklist for parents to use in evaluating a physical education program. Why you should wear proper shoes in physical education poster. The key to enhancing performance and preventing injuries in athletics and day-to-day physical activities is to wear proper-fitting shoes. It is important to find shoes that not only feel comfortable but also protect your feet. Safety is a number one concern in physical education. Proper fitting shoes contribute to good hygiene and overall student safety when participating in physical activities.